This assignment depicts the concept of value creation, as it is one of the crucial elements in marketing theory. The value creation process is considered to be the process which requires implementations from various different elements among business. The major efforts to create value among business organization are processed by producers and consumers. Initially the consumer’s efforts or input were limited only to the feedbacks and requirements. But with the change in time the growth among business has led to enhance the transactions volumes immensely. This has led to initiation of collective consumer buying and improved the inputs from consumers in a great manner. Now, the producers are not considered as the only arbitrator of value creation. The consumers are also plays major part in value creation process. The present assignment states the ability of co-creation of value and its dependence over digital technologies and service dominant logic. 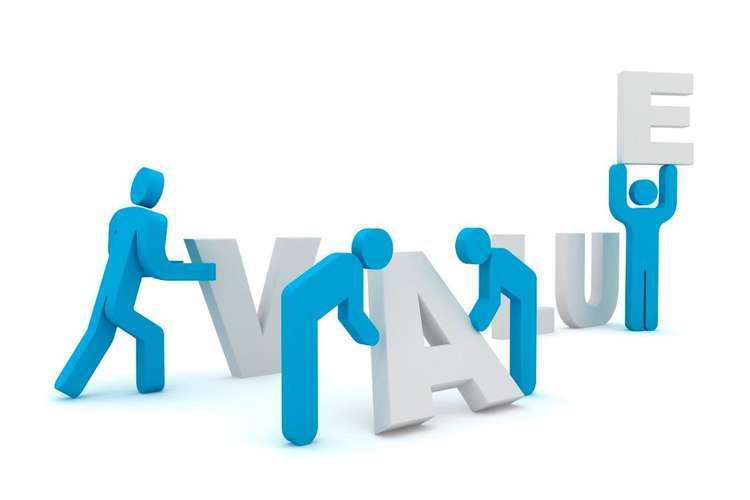 In economic exchange process the creation of value is the most important aspect of business. The conventional methods of value creation were limited to main emphasis over enhancement of productivity and revenues. In the modern era of marketing perception, value creation is based over service-dominant (S-D) logic and digital technologies. The main aim of this report is to provide an idea of extend of digital technologies and service-dominant logic in value co-creation process. The value co-creation process has enhanced itself and it is no longer based only to the manufacturer or producers dependent element. The consumer has come forward in creating a certain level of own value perception, which is crucial among value co-creation process. This report examines the extent and ability of value co-creation process by service-dominant logic and digital technologies (Prahalad, et al. 2004). The consumer consumption practice depicts major co-creation of value among business organizations. The collective consumer buying behaviour leads to a crucial aspect under value creation prospect of a particular brand. The marketing theory suggests the concepts of co-creation crucially. Co-creation can be simply defined as the collaboration of consumers and producers in order to enhance the value of the product and services or add values to them. The creation of value in terms of consumer is assumed as creating value in use; while for the producer it is assumed as value addition, potential for consumption and brand value (Vargo, et al. 2008). Gronroos, 2011 provided a critical analysis of value co-creation among service logic. The research states that the value co-creation is not dominated completely by service-dominant logic as there are theoretical gaps among decision making process and development process of marketing theories. Service-dominant logic is an important factor as it is based over consumer dynamics. Majorly, consumer is considered as co-creator but in reality the consumer is one of the co-producer of creating the value. This theory explains that the consumer is not the major creator of value or the sole arbitrator of creating value, but rather at certain scenarios the producer or the manufacturers can also create value with the help of customers. The major theory can be further as for any business organization; the major aims and objective of the company are depicted through two broadly defined aspects, which are Fiscal value of the company and major goals of the company. Now, the value creation process can be implemented to both the major aspects of business organisation. In order to enhance the financial value of the company, the customer centric approach is utilised or in other words the consumers act as a co-producers. On the other hand organizational goals and values are achieved through internal process of the company, which are conducted among organization itself (Cova, et al. 2009). Zwass, 2010 depicted that the introduction of web based technologies have enabled major marketplaces among our modern business dynamics. The consumers have found a new platform for creating value among these marketplaces as well. The author has specifically defined the contribution of consumers in value creation as, a co-creator. The consumers and producers have become a growing partner among value creation with specific roles. It can never be stated that a producer alone can create value or consumers are the sole arbitrator of the value creation process. The efforts of consumers are defined as a co-creator in the value creating process. The whole process of value creation is huge and complex for us to understand and it is difficult to provide a practical approach for the process. This can be explained as the point of value creation is still variable to almost everyone. The value creation is subjected to predictions and feedbacks from existing customers. The value creation is so vague that for one single product or service the point of value can come through at different stages. For example a car can provide status symbol to a college going student on the first day and can be made important to family in an emergency condition after 3 years of purchase of car. Thus the value creation process cannot be just dependent just over service-dominant logic or digital technologies which have a customer centric approach. It is considered that the consumer is co-creator of value with the help of organization (Pongsakornrungsilp, et al. 2011). Ritzer, 2015 explains that the process of value creation is done through prosumption. The term Prosumption defines a single person which is a prosumer. The prosumers are the people which come under consumer section and produce media. In simple words prosumption can be called produced by consumer. In spite of the majorly acceptance of consumer creating value, I theoretical perception, the consumer section will remain a co-producer of value creation only. The modern time can deliver a higher saturation of efforts by the consumer in the process of value creation but stating that they are the sole arbitrator of value creation can be considered wrong in terms of technicalities. Schau, et al. 2009 provides a more clear understanding of value creation process in modern brand communities. The authors have explained the value creation process as a collective approach which requires all aspects relevant to brand communities. The collective value creation process requires various features such as social networking, impression management, community engagement and brand usage. The research also suggests that the collective value creation can process can result in producing values through various aspect and at various positions as well. The above mentioned figure explains that, the brand use utilises both consumer as well as producer’s approach to deliver value creation. Similarly at social networking the value can be created through a collective approach of both producer as well as consumer to enhance the value. The co-created value is explained as the collective efforts of the individuals or group which help in building an organizational characteristic. The consumer and producer section has a distinct identification and roles in value creation process. The changing times have elaborated the roles of consumers and producers in value creation procedures. Now the consumers have enhanced roles in producing value among organization. The consumers are sub-consciously creating value among brands with their regular attitude and behaviours, for example mouth publicity, liking the posts of a particular brand over social media platforms and many more. The major importance of consumer can be concluded with the volume of business transactions in a particular company and users of services and goods of an organization. The collective process in volumes provides consumers an upper hand over value creation procedure with respect to the producers (Füller, et. al. 2011). Production and consumption are two distinct behaviours which require each other to fulfil their requirement. Similarly, the process of value creation benefits both consumer as well as producer, thus it is called as a co-creation process which needs both producer and inputs from consumers as well. The value creation is not a batch process which can be created through a single entity and producers are not at all the single arbitrator of value creation process. 1.Cova, B. and Dalli, D., 2009. Working consumers: the next step in marketing theory?. Marketing theory, 9(3), pp.315-339. 3.Grönroos, C., 2011. Value co-creation in service logic: A critical analysis. Marketing theory, 11(3), pp.279-301. 5.Ritzer, G. and Jurgenson, N., 2010. Production, Consumption, Prosumption The nature of capitalism in the age of the digital ‘prosumer’. Journal of consumer culture, 10(1), pp.13-36. 6.Ritzer, G., 2015, March. The “New” World of Prosumption: Evolution,“Return of the Same,” or Revolution?. In Sociological Forum (Vol. 30, No. 1, pp. 1-17). 7.Zwass, V., 2010. Co-creation: Toward a taxonomy and an integrated research perspective. International Journal of Electronic Commerce, 15(1), pp.11-48. 8.Schau, H.J., Muñiz Jr, A.M. and Arnould, E.J., 2009. How brand community practices create value. Journal of marketing, 73(5), pp.30-51. 9.Prahalad, C.K. and Ramaswamy, V., 2004. Co-creation experiences: The next practice in value creation. Journal of interactive marketing, 18(3), pp.5-14. 10.Füller, J., Hutter, K. and Faullant, R., 2011. Why co?creation experience matters? Creative experience and its impact on the quantity and quality of creative contributions. R&D Management, 41(3), pp.259-273.